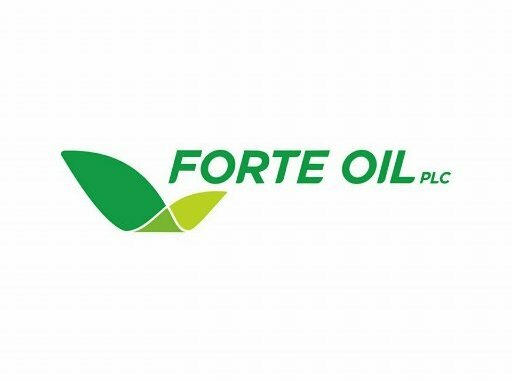 For the second year running, Forte Oil, with majority shares held by billionaire Femi Otedola, maintained its leadership from the rear as the worst performing stock on the Nigerian Stock Exchange (NSE) in 2017 in percentage terms. Statistics obtained by the News Agency of Nigeria (NAN) from the exchange indicated that the stock, which opened trading in 2017 at N84.43, dropped by 48.50 per cent to close the year at ₦43.48 per share. NAN reports that Forte Oil in 2016 also emerged the worst performing stock in 2016 in percentage terms having dropped by 74.72 per cent. The stock, which opened trading in 2016 at ₦330, depreciated by 74.72 per cent to close trading at ₦84.43 per share. University Press followed with a loss of 46.23 per cent to close at ₦2.28 compared with ₦4.24 it opened for the year. MRS Oil shed 36.49 per cent to close at 27.46 against ₦43.24, while Mobil Oil lost 30.25 per cent to close at ₦194.60 in contrast with the year’s opening price of ₦279 per share. Julius Berger dipped 27.42 per cent to close at ₦28 against ₦38.58 and Conoil, which opened in 2017 at ₦37.48, decreased by 25.42 per cent to close at ₦28 per share. NAN reports that Total trailed with a loss of 23.09 per cent to close at ₦229.95 against the year’s opening price of ₦299, while Trans-Nationwide dipped by 22 per cent to close at 78k in contrast with ₦1 posted in 2016. 7UP which opened the year at ₦129 declined by 20.95 per cent to close at ₦101.97, while Nigeria Enamelware lost 20.80 per cent having closed the year at ₦23.33 against ₦29.33, among others. The Chief Operating Officer, InvestData Ltd., Mr Ambrose Omordion, attributed Forte Oil’s loss for two straight years to non-payment of dividend in 2016 financial year and weak earnings. Omordion said that mixed performance posted by the company in 2017 and unclear business plan or direction to investing public on the happenings in the company or where it was heading, contributed to the development. He also attributed the University Press depreciation to dwindling dividend payout and unimpressive numbers, as increasing cottage industries operation continued to affect its bottom line. Conversely, Dangote Sugar was the best performing stock in percentage terms during the review period. It improved by 227.33 per cent to close at ₦20 per share against the opening price of ₦6.11. International Breweries trailed with a growth of 194.59 per cent to close at ₦54.50 compared with ₦18.50 and Fidelity which opened at 84k rose by 192.86 per cent to close at ₦2.46 per share. Fidson increased by 189.06 per cent to close at ₦3.70 against opening price of ₦1.28 and Dangote Flour Mills inched 185.88 per cent having closed the year at ₦12.15 per share against ₦4.25 opening price. Stanbic IBTC improved by 176.69 per cent to close at ₦41.50 in contrast with ₦15, while May & Baker garnered 176.60 per cent to close at N2.60 against 94k it opened for the year. FBN Holdings increased by 162.69 per cent to close the year at ₦8.80 per share against N3.35, while C & I Leasing rose by 158 per cent to close at N1.29 compared with the opening year’s figure of 50k. Omordion linked Dangote Sugar growth to improved numbers and 50k interim dividend as a result of backward integration that reduced operating cost due to sugarcane farms. He said that infusion of the three major players would boost numbers as market share increases. Omordion said that Fidelity Bank’s growth was due to oversubscription of its Eurobond, which boosted investors’ confidence and as well improved positive numbers.